The many choked flood sinks at Crina Bottom combine with water from Boggart’s Roaring Holes (SD728738) to emerge at Skirwith Cave (SD709738): the resurgence going on to form the delicate Cat Leap Falls, a feature often missed by visitors to the Ingleton Waterfalls as it lies just off the main path. 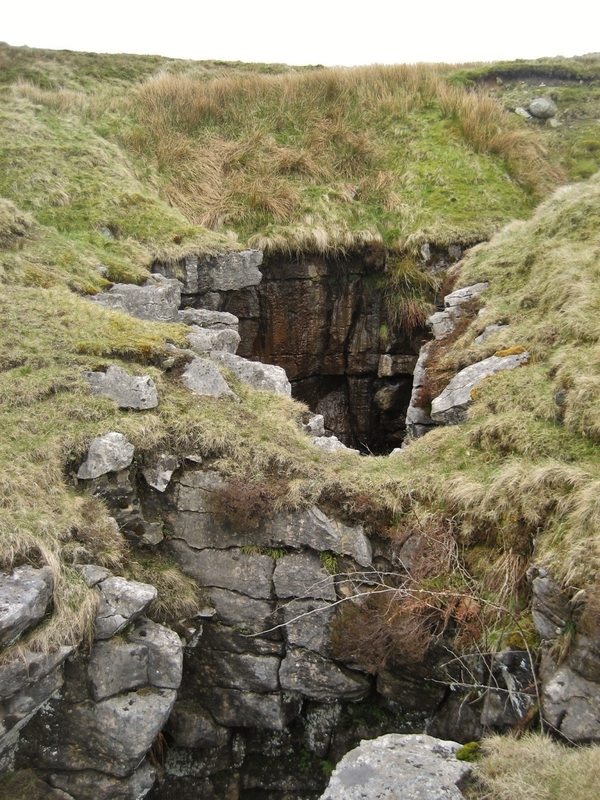 Many visitors are oblivious to the existence of Skirwith Cave as they head along the B6255 out of Ingleton. 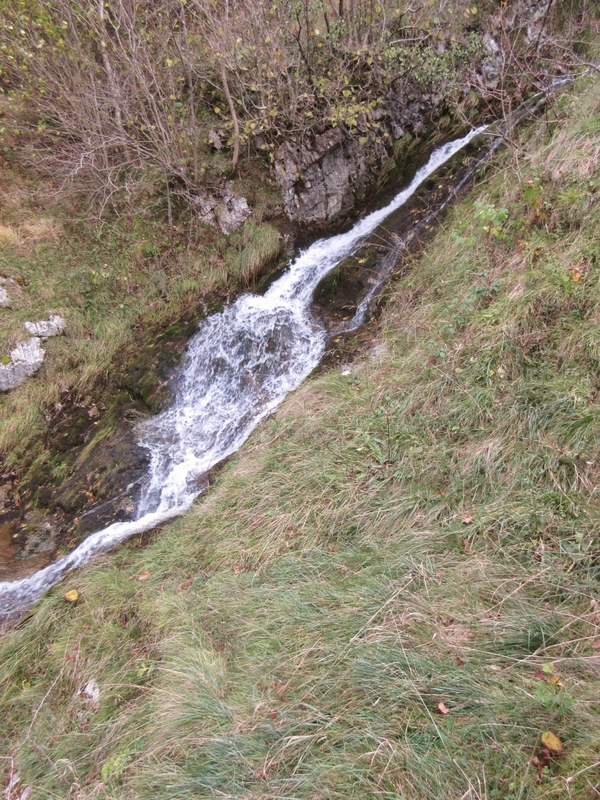 Passing Storrs Common, water emanating from a small cliff with a solitary hawthorn is the only clue to what was once a busy and popular place. 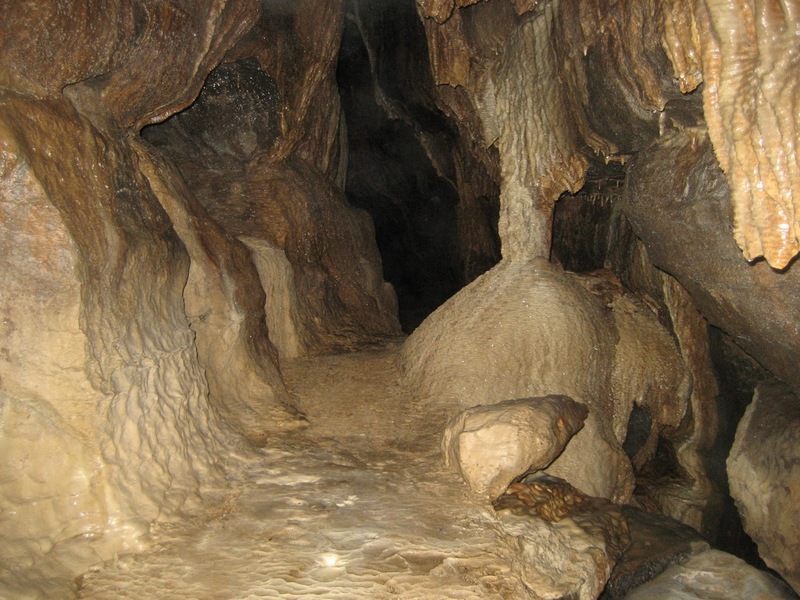 The cave was opened to the public in 1964 and had its own car park, toilets and souvenir shop. All that remains today is an eerie collection of concrete, old railings and crudely painted ‘Cave Entrance Up the Steps’ signs – with the cave itself elusive to all but a few limestone connoisseurs. Twice the entrance to this remarkable show cave collapsed, until a concrete arch was set into an excavated third attempt at admitting the public, and this can be located by a careful search just above the old steps. 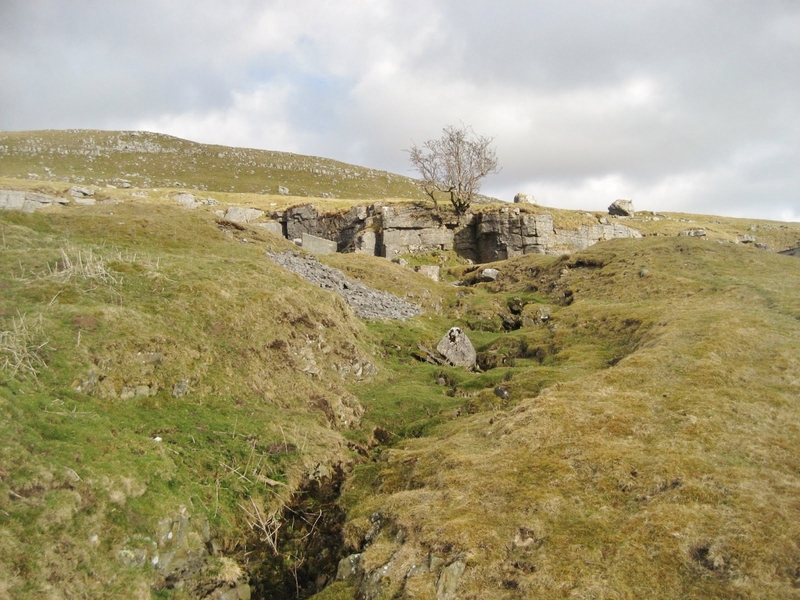 Even here, collapse has rendered the old iron gate impossible to open or close – but a slither down leads into one of Ingleborough’s most beautifully decorated passages. 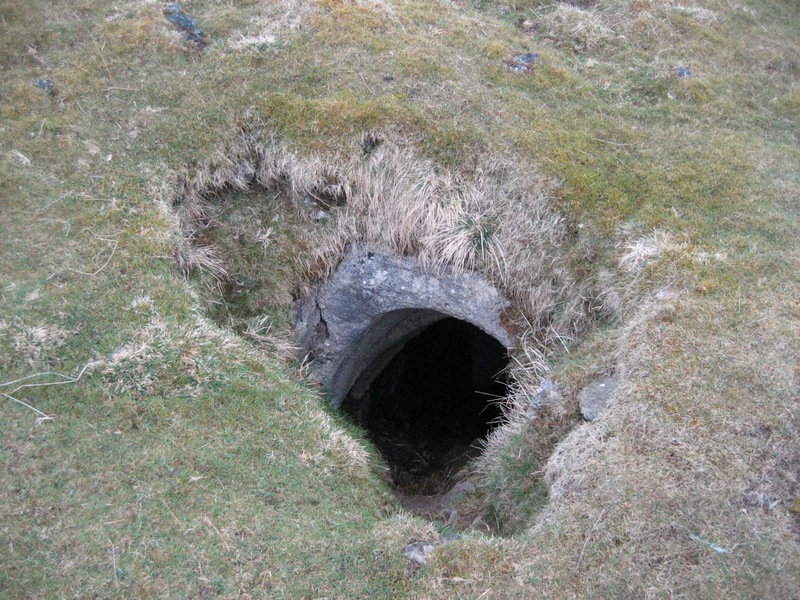 Quarry workings nearby have moved some of the boulder piles inside, and this – along with the popularity of White Scar – was probably the reason for the cave’s closure in 1974. 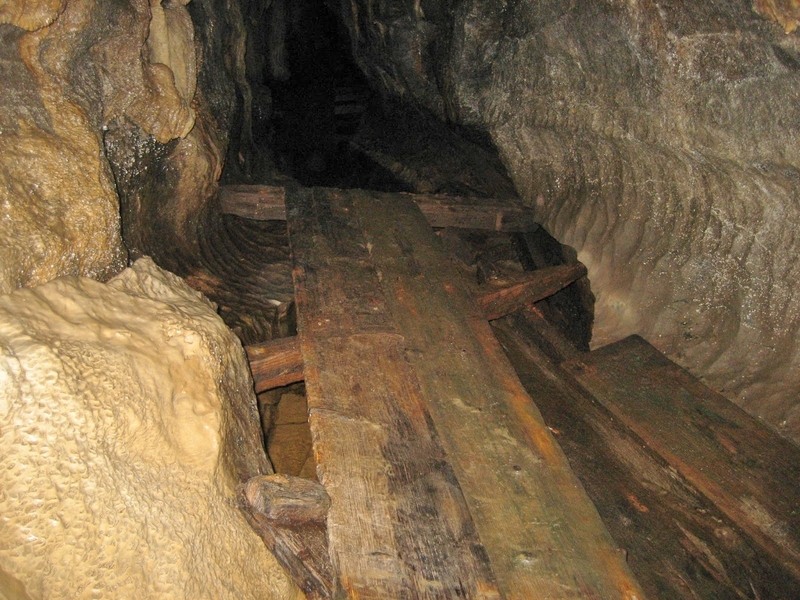 Once inside, a lovely calcite floor meets the stream, and old wooden walkways that led tourists into the depths are still in place at several points. 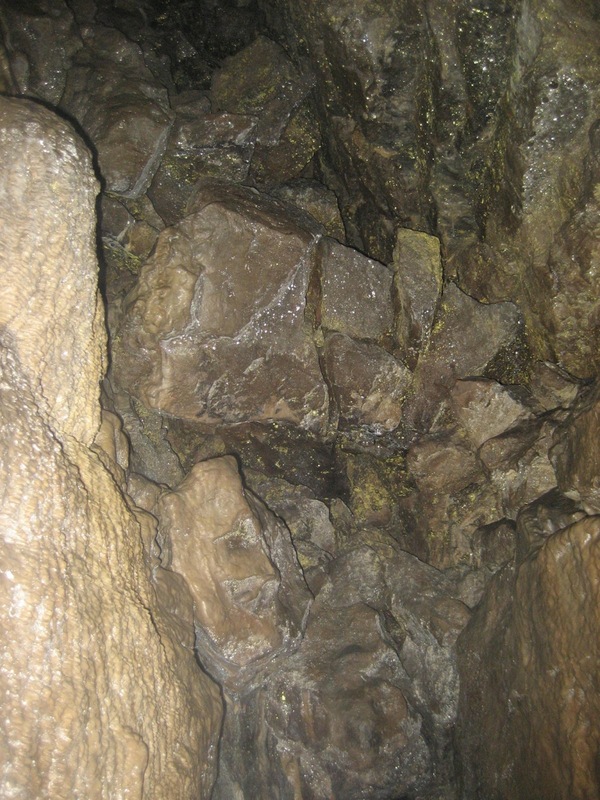 A boulder choke is passed by steps and at one point a huge mass of boulders is suspended in the roof, cemented together (thankfully) by calcite. 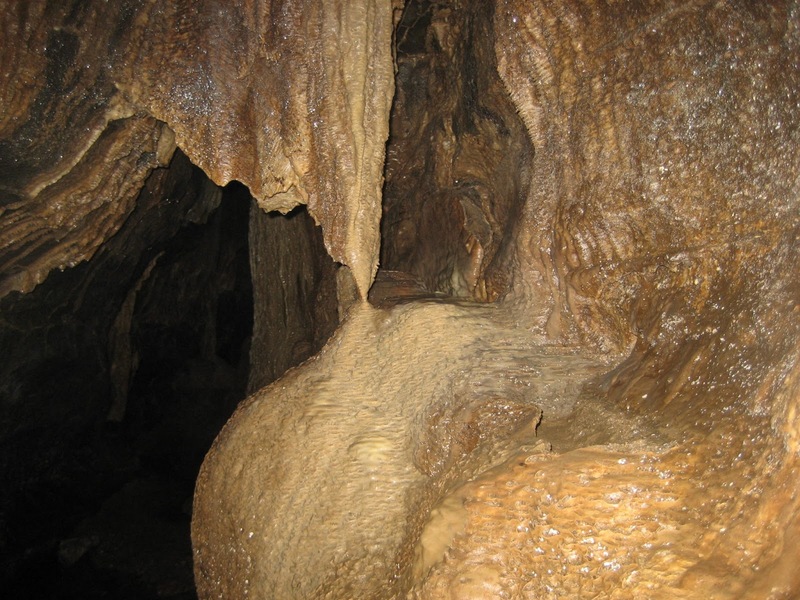 Though the passages appear relatively young and shallow, the age of the stalagmites suggests otherwise – and Skirwith is thought to have never carried a particularly large stream. 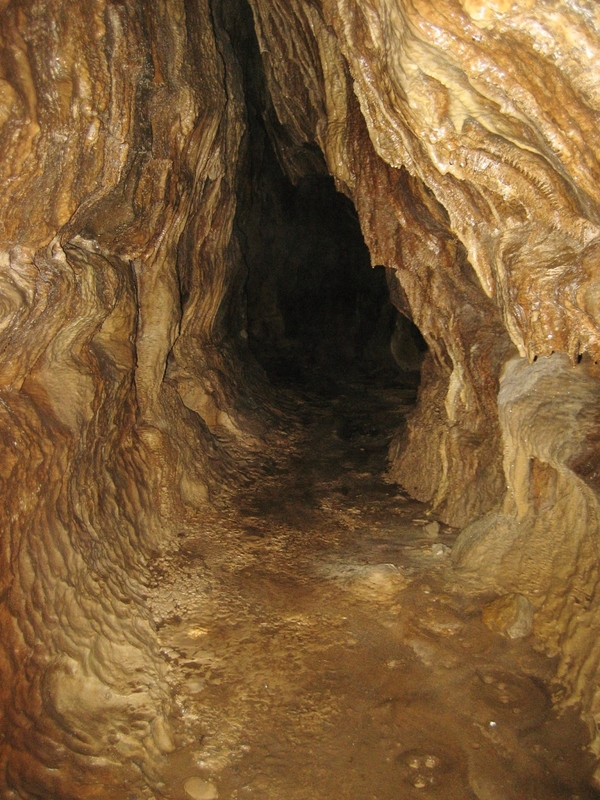 The limit for the visitor in the 1960s was a fine waterfall, above which are constricted and eventually sumped passages, but this cascade can only be reached today by a dodgy looking passage through boulders – and is best tackled in the presence of experienced cavers.